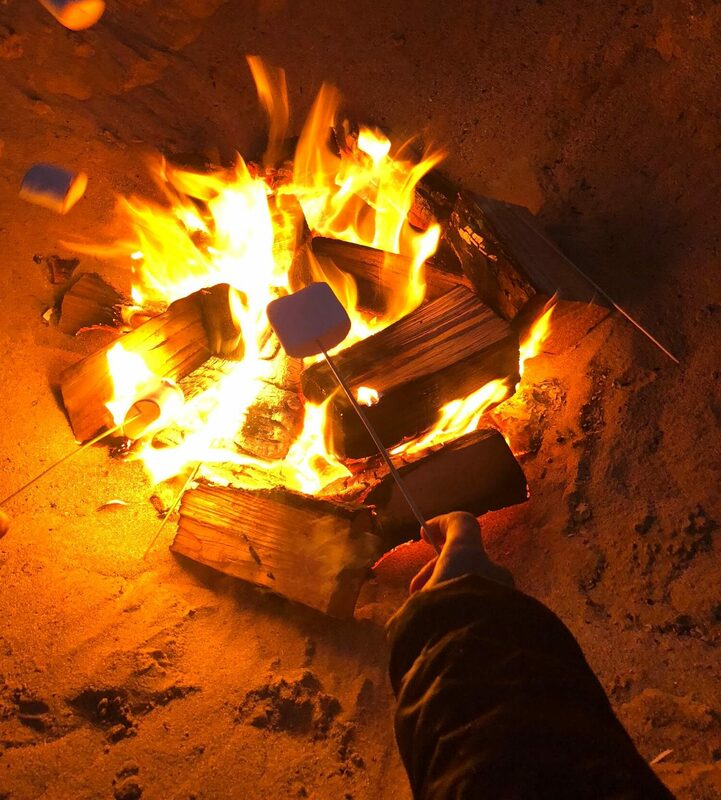 On both nights, we had a bonfire on the beach where we toasted marshmallows and made smores, as well as chatting and getting to know each other. We were also told to bring flasks so I made a hot chocolate in the hostel then brought it down to the beach so it was super cosy. The sunset from here was absolutely incredible and it was great to share the moment with everyone on the trip. 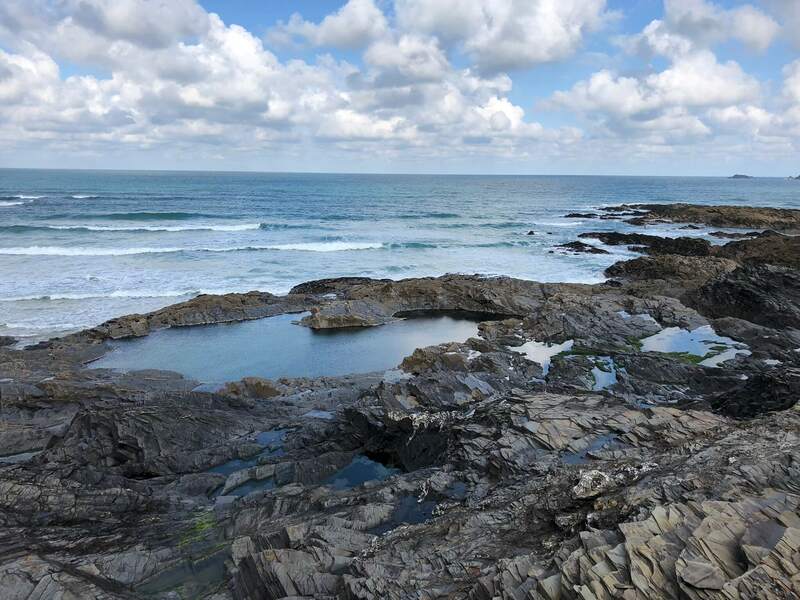 The main activity on the Saturday was coasteering at Fistral Beach in Newquay which, I must admit, I didn’t really know exactly what it was before I signed up for it. Now I know that it’s basically throwing yourself off cliffs into the sea – and I have never been more terrified in my entire life! The weather was sunny but quite chilly so we were fully kitted out in thick wetsuits with knee pads, trainers and, of course, a life jacket and helmet. As I stood over the edge of the first cliff waiting to jump into the sea, I was really scared. However, I sucked it up and, being super brave, I launched myself off. The sea was completely freezing and I struggled to get my breath at first, but I soon got used to it. Once we were in, we had to get back out by waiting for a wave to take us near to the rocks and then getting out using our feet first. It was quite physically demanding but it was such a rush and I felt amazing once I had done it. 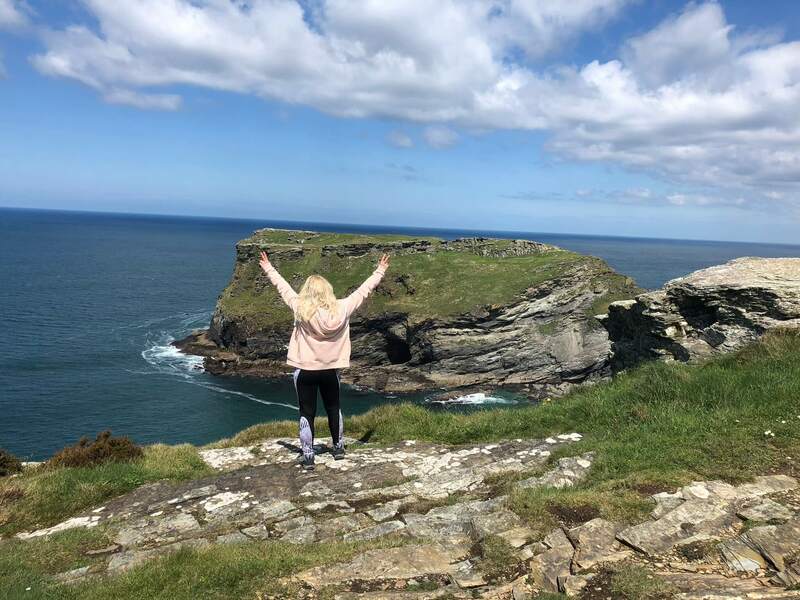 Before I headed home on the Sunday, we headed to Tintagel for a coastal walk. We stopped for a Cornish pasty first (because it’s gotta be done in Cornwall, right?!) and then headed off on the coastal path, past the castle. I love a coastal walk and this one was great – the scenery was absolutely fantastic and the weather was wall to wall sunshine which made for some great photos. The walk was on cliff tops and pretty exposed so it was quite windy but I really enjoyed it. Tintagel was the cutest little town with lots of old buildings and I’d love to go back to explore it further. 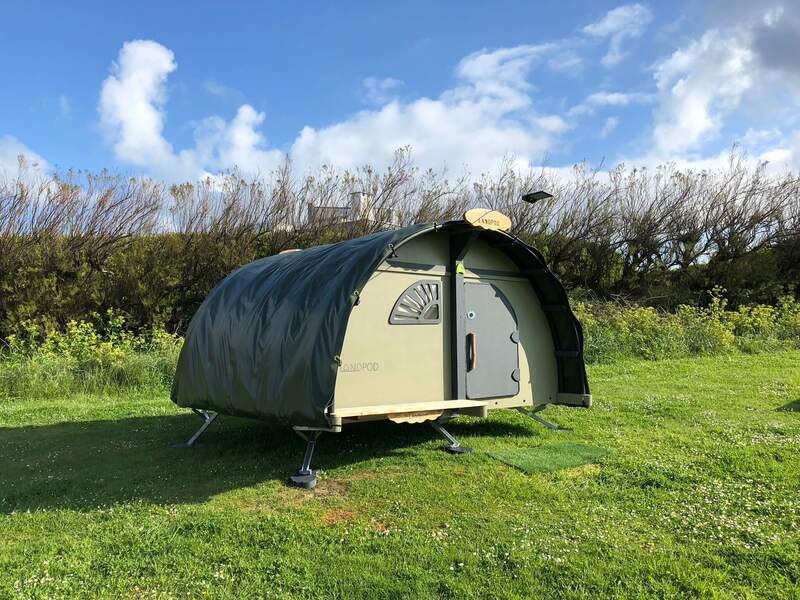 I stayed at YHA Treyarnon Bay in one of their brand new Land Pods – I was one of the first to stay in them! We first visited this hostel when we went to Cornwall last year and we just couldn’t get over the location. It is literally right on the beach and is the perfect place to enjoy a drink outside whilst overlooking the crashing waves. Staying in a Land Pod is just like camping but slightly better – the pod is more structured than a tent and it has solar powered electricity. The hostel has shower and toilet facilities outside, but you can also use all the other facilities in the hostel including the self-catering kitchen so you can make your own meals if you’re on a budget. 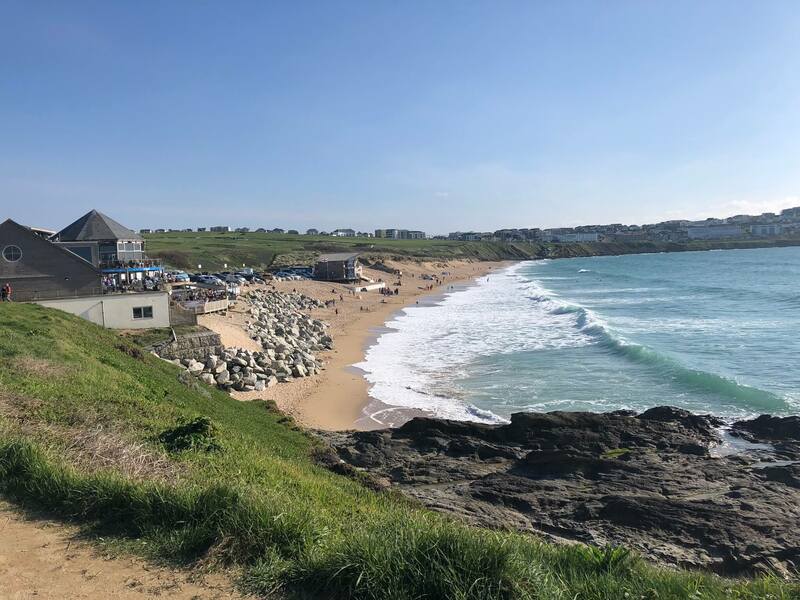 I had a fab weekend with the Where’s Mollie Global Travellers and I’m looking forward to my next Cornwall trip in June with Cornwall365 and Bumble Campers. Do you have any top tips for things to do whilst I’m in Cornwall? If so, let me know in the comments!